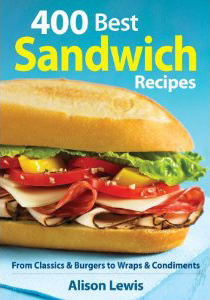 I’ve been reading about this sandwich book, Barbara. It sounds like a gem we should all have. 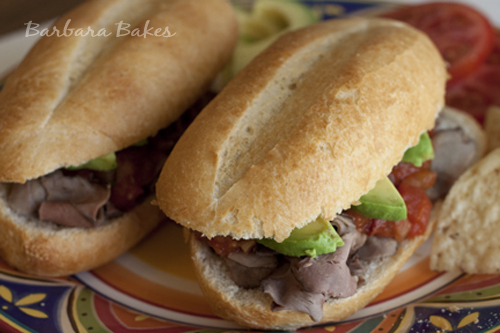 Your torta looks marvelous, comes together easily and the flavors sound wonderful! What a terrific sandwich! Perfect for meatlovers. Good on Allison for publishing her first book. I’ve never heard of this but I really like the sound of it even if the name is a bit strange! I’m going to have to pick me up a copy of that book! This looks delicious! Now this is a sandwich! What a great combination of ingredients. 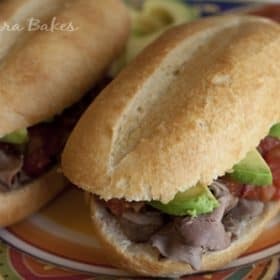 I especially love the avocado and the bread looks wonderful as well. Your sandwich looks awesome! Thanks for the recipe! Alison’s new book is wonderful and I can’t wait to try this recipe from it. Thank you so much Barbara for featuring this recipe and my cookbook. I am so glad to have met you last November, and I was so excited to see you in Park City. I appreciate you sharing my book and this recipe. I loved this sandwich! I love Mexican food! Great combination of ingredients in one sandwich! I’m sure it tastes delicious! Thanks for the recipe. mmm, sounds wonderful, it looks like a party on a plate! This looks and sounds like a great sandwich, one we need to try. Love the idea of the spicy sauce and avocado. I’m always ready to try something new (to me). I’ll have to look for this cookbook too. 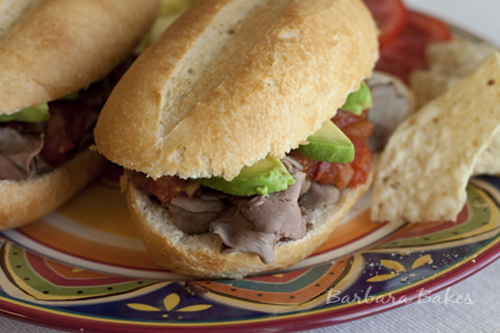 I love all the flavors and textures on this sandwich, especially the addition of avocado! Delicious! This looks really good. It’s nice to have something different in a sandwich for a change. It’s so easy to get in a rut. I love homemade sandwiches. Those looks so scrumptious. A great combination of ingredients. This looks delicious! I love the combination of flavors in it, especially the chipotle chiles in adobo sauce. Me too! A wonderful play on each of the flavours you’ve got going on there Barbara, love it.